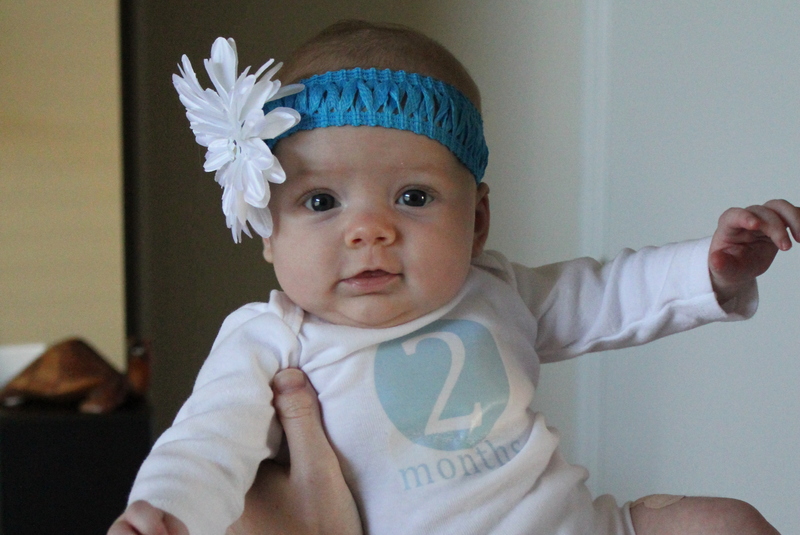 Kenley is two months old! she weighed in at 11 lbs 9 oz and is in the 75th percentile for weight. 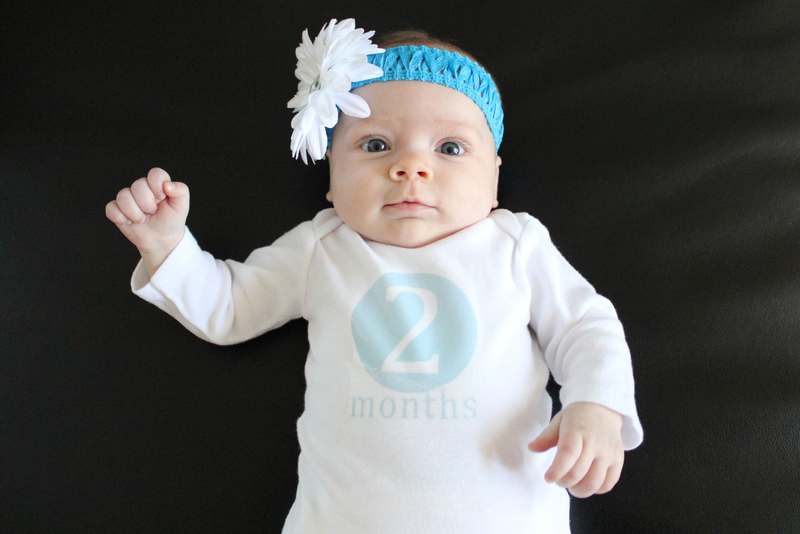 She is 23 inches long, which is in the 95th percentile for height! She also had her first round of vaccinations. she slept soundly for an hour or so afterwards. Not going to lie, I shed a few tears too. Partly due to seeing her so upset and partly due to pure exhaustion from the morning we had. 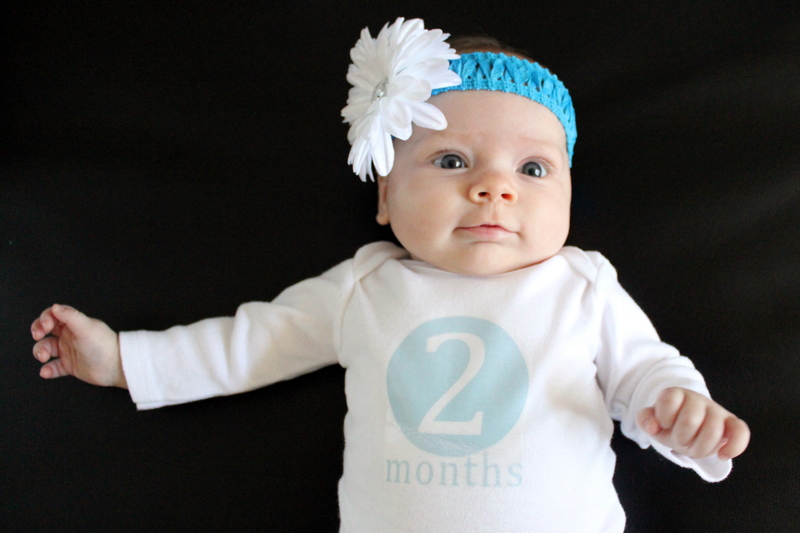 At two months, she is starting to smile more and more. She loves looking at the fan and the large black & white pictures behind the couch. and sleeps soundly in her crib at night. She is plays on her play mat and loves looking at herself in mirror. She really enjoys the bath, which makes it easy on us. and are looking forward to celebrate our first Christmas this week! What a precious, precious baby girl! She gets prettier all the time if that’s possible! She is so bright eyed and alert and beautiful. I just want to kiss those pretty little soft cheeks. Makes me wish even more that I could’ve had a little girl. Along with my boys of course. They were pretty darn sweet even if I do say so myself!